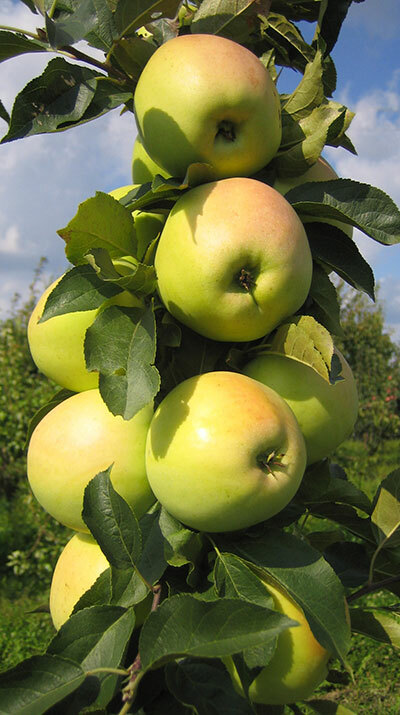 Golden Millenium® is our proprietary apple tree variety. It is entirely resistant both to fungal diseases (it does not require using fungicides) and to frost. It received the title of „ Innovative Product” within the framework of the “2008 National Innovation Leaders” competition – regional edition: Podlaskie voivodship, category: innovative product, sub-category: micro business. Gold Millenium® apple thee variety produced by us was awarded with a mark of distinction in the “Clean Business 2009” contest organized under the honorary patronage of the Minister for the Environment, the Minister of Economy and the Minister of Regional Development.